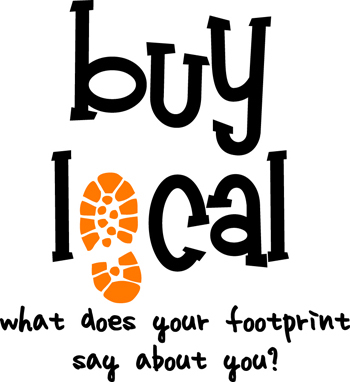 Buy Local is a grassroots initiative open to anyone who believes in the benefit of spending money in the communities where he or she lives, works, goes to school, and plays. You can make a real difference in maintaining your community's quality of life by paying attention to where you shop. According to calculations by the Chapel Hill-Carrboro Chamber of Commerce and Orange County Economic Development Commission, when Orange County residents 16 years or older spend $200 more in Orange County - rather than online or elsewhere - local sales rise by more than two percent. That two percent rise equates to about $500,000 in sales tax revenue that can fund as many as 10 local police officers or teachers. Note that we are not urging you to increase your spending, but rather redirect it to the businesses close to where you live, work and play. Buying locally sustains the unique character and quality of life of your community. Beyond the economic impact of your spending, buying locally supports the businesses that reinvest in your community's social and environmental well-being. Orange County businesses give generously to area churches and non-profits and enhance the social welfare of friends and neighbors. Dollars spent at a local business are reinvested in your community's employees through wages and reinvested in other organizations through the purchase of legal, accounting and other business services. And by purchasing from local businesses, you (and the goods you purchase) travel fewer miles, saving you time, gas money, and carbon emissions. Remember, when you spend it here, you keep it here. Visit local economic development agencies.